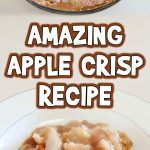 Between school, sports practice, and other activities, I’m always looking for good snacks to make for my kids to keep them going until dinner time. 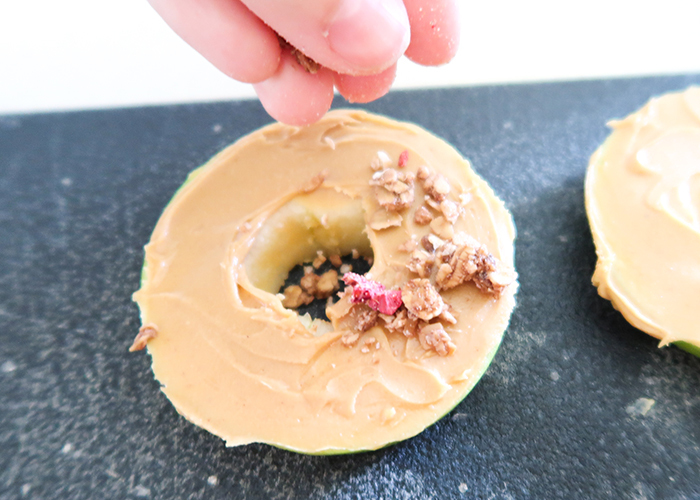 When I was little we used to core apples and fill the insides with peanut butter and other fun fillings, but it was a bit difficult to eat, so I wondered if I could modify that idea a bit. 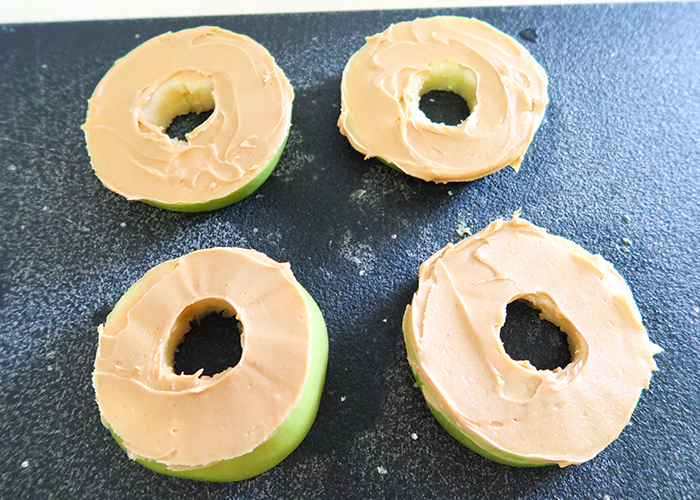 I recently came up with this super easy Healthy Apple Donuts Snack, and it was a huge hit! Let me show you how to make it. 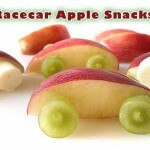 Check out more healthy snack ideas for kids while you are here! Peanut butter. 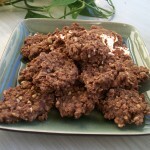 Or other nut butter or topping of your choice. 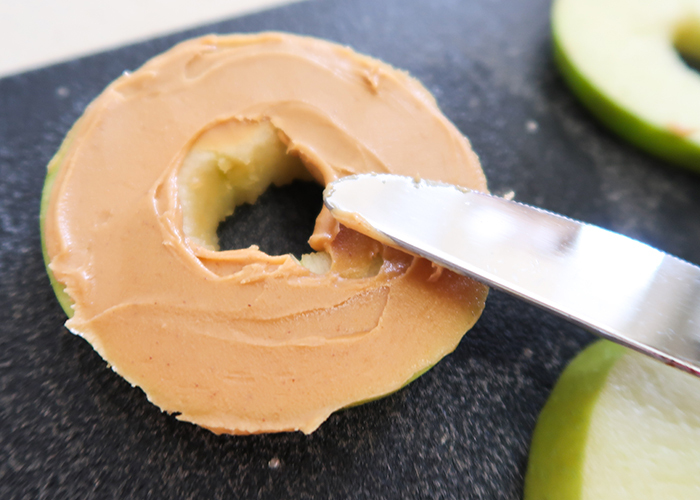 Use cookie butter for a nut-safe alternative! 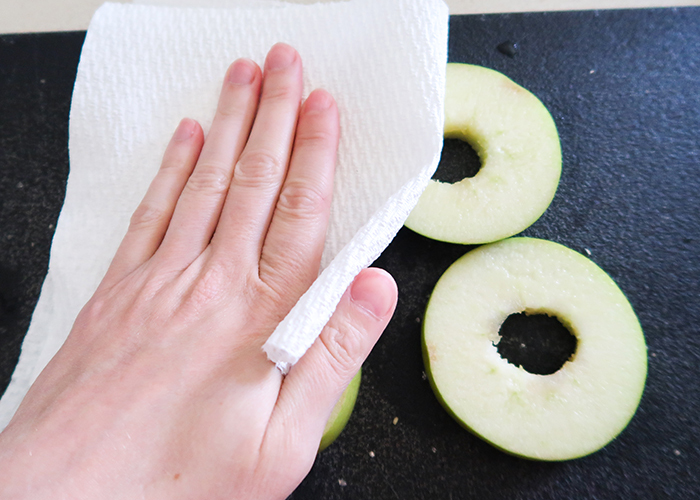 Start by washing and drying your apples. 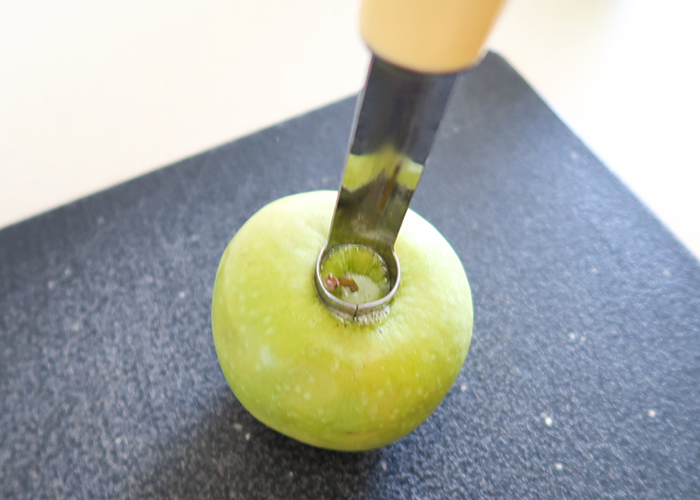 And completely removing the cores. 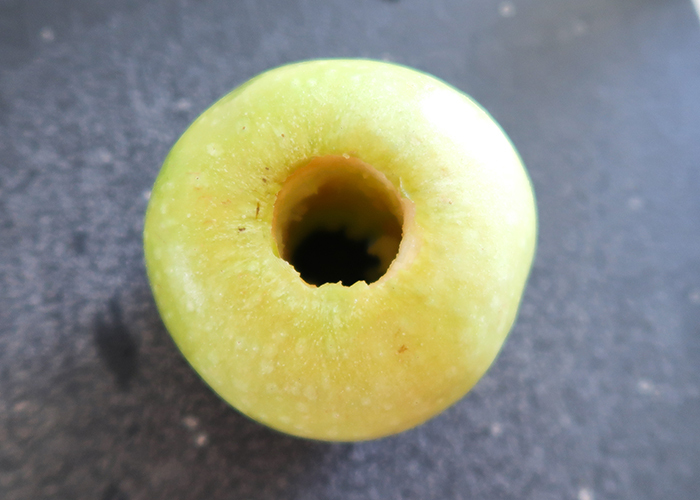 Feel inside to make sure no seeds or sharp core bits are left. 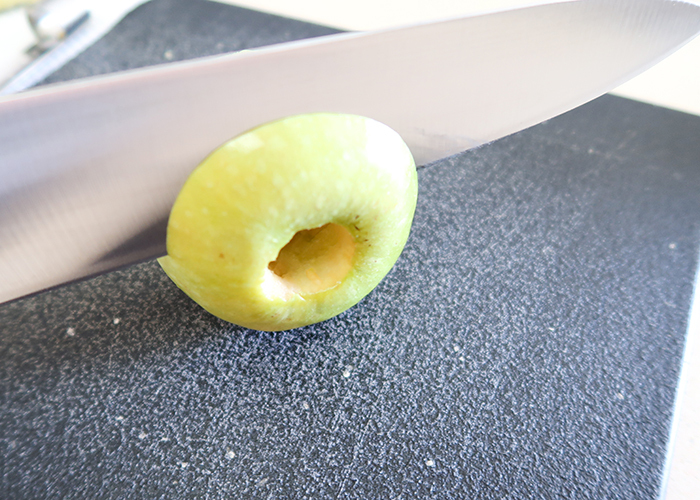 You can also peel your apple if your child doesn’t like the peel. 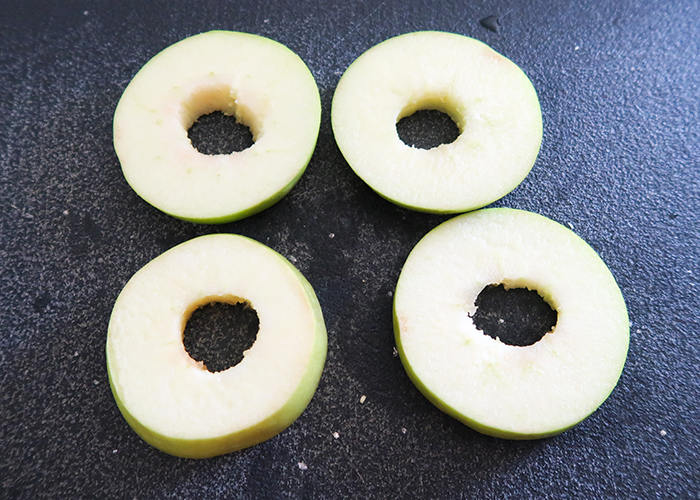 Then turn your apple on it’s side, and carefully cut off 1/2 inch slices. 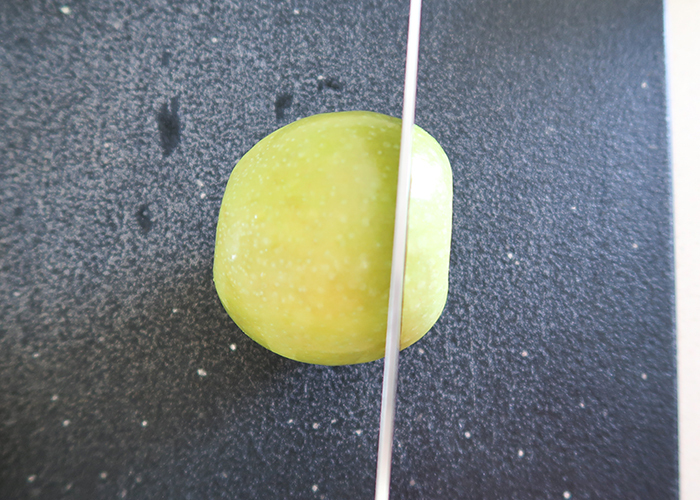 Try to keep your slices as even as possible, and go straight down through the apple so the end up flat. 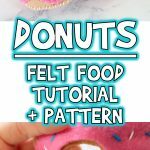 See how your slices look like donuts? 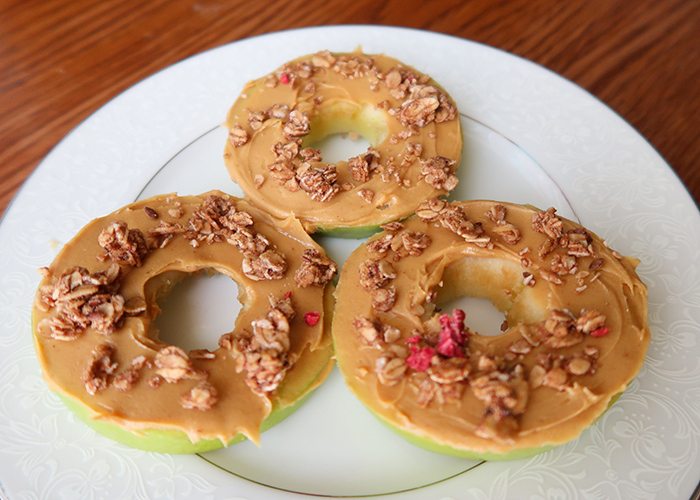 Take a paper towel and dry off the tops of your slices so the peanut butter or other topping will stick. And put on a medium thick layer. 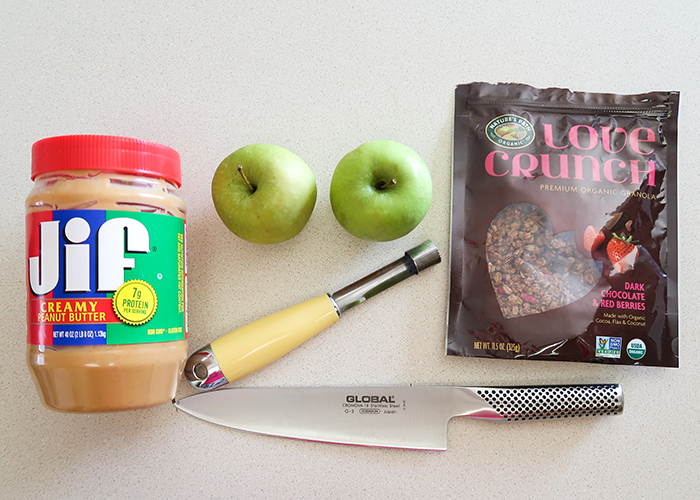 And then sprinkle on your toppings of choice! I used some granola in the pantry that had been forgotten about, but you can use raisins or berries. 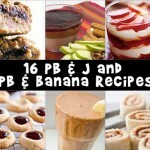 You could even do cream cheese with raspberries or some similar combination for children who are allergic to nut butters. 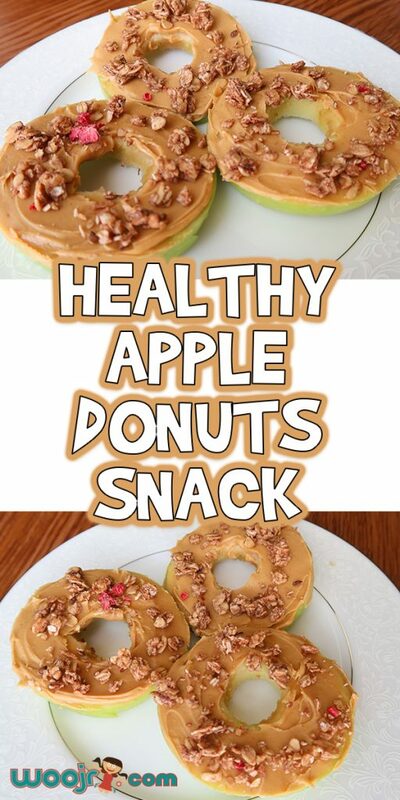 Pop them on a plate, and enjoy! 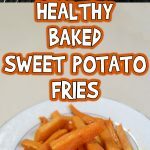 These are a great after school or before sports practice snack, and I hope your kids love them as much as mine do!